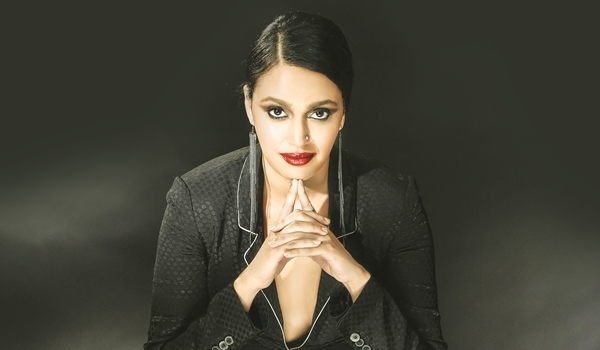 SWARA BHASKAR has played supporting roles in more than a dozen movies in the last six years and is all set for her big break this year. In fact, Nil Battey Sannata, which covered the festival circuit last year and won Bhaskar the best actress award at the Silk Road film Festival in China, is scheduled to release here in April. It sees her playing the mother of a 15-year-old. a�?Nil Battey Sannata is a powerful story and I was sure it would be extremely challenging. I took a big risk with the age difference and it paid off,a�? she begins. Bhaskar has been making all the right moves ever since she shifted from Delhi to Mumbai to become an actor. You will remember her from mainstream Bollywood movies like Tanu Weds Manu, Guzarish, Raanjhanaa and the recent Salman Khan-starrer, Prem Ratan Dhan Payo. a�?Thankfully, my journey has not been too easy or too difficult, and being part of commercial cinema has helped me get noticed by the industry and secure worthy projects,a�? she observes. She recalls how she was a rank outsider with few contacts but big dreams when she moved to Mumbai. a�?It is difficult to get good opportunities and I have often wondered how audacious I was to say a�?noa�� to many projectsa�?. Bhasker now swings comfortably between mainstream commercial blockbusters and independent alternative films. Content with her progress, she is looking forward to the response to Nil Battey Sannata. After all, a lot went into Ashwiny Iyer Tiwaria��s film, with the director referring to how Bhaskar spent time in Agra to study the culture and put on several kilos to play the mother.